Last week the NWC music department held their annual music camp for middle school and high school age students. 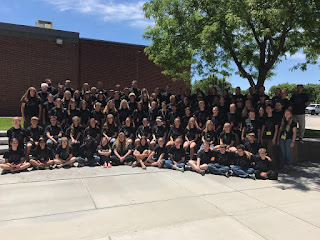 In addition to our amazing faculty, faculty from various parts of the country were here to give the students exposure to a variety of music styles and composition. Since my son was a camper, I attended the recitals and concert and witnessed the level of rigor that the students experienced. It was quite impressive. Many thanks to Camp Director Craig Olson (pictured below), Diana Gwynn, and all who worked together to make this camp not only a great outreach opportunity, but also a fantastic recruiting opportunity for future NWC students.